It is one of the rare moments when I’m reviewing an eyeshadow :D Here is my impression on Missha The Style Silky Shadow Duo kindly sponsored by Qdepot. 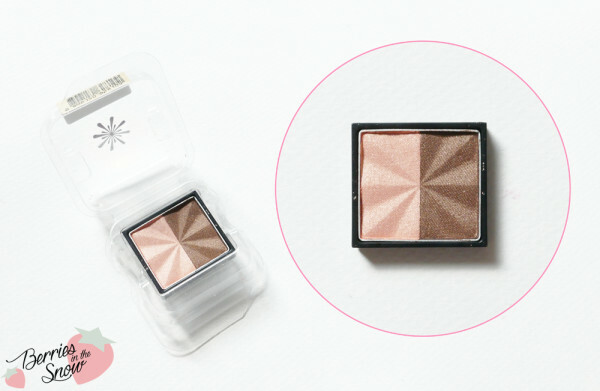 This two-colored tiny eyeshadow contains two complemetary colors, one for base color and one for point color. Missha is one of the worldwide famous Korean brands, especially their Missha M Perfect Cover BB cream is one of the most famous BB creams. They have a lot of online stores all over the world and are available in US/Canada, Australia and since some time they even opened up an online store for Germany, and a physical store in Ingolstadt in Germany! The products always come in a very luxurious looking packaging and the design is usually very mature and elegant and I think that it can be liked by almost everyone. 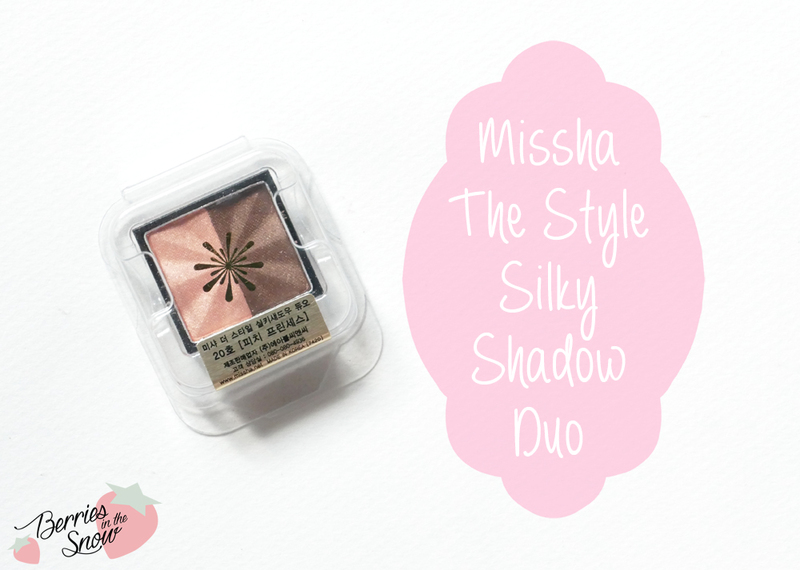 The Missha The Style Silky Shadow Duo is a simple and single eyeshadow. It doesn’t come with a case, but you can get a case for these single eyeshadows, too. The cases fit several of these eyeshadows. The shade here is called “Peach Princess” (#20), but there are other shades available. I think there are 9 shades in total. “Peach Princess” is a combination of a light peach base color and a wood brown point makeup color. Both are powdery with a satin, shimmery finish. The eyeshadow has a relief-imprint which looks like a crystall. Although so simple I really like this relief. The ingredients of the Missha The Style Silky Shadow Duo are listed on COSDNA. No harmful ingredients are used, furthermore the eyeshadow contains titanium dioxide for UV protection. Swatched with my fingers the pigmentation is not very strong, typical for many Korean eyeshadows. When using my brush it kind of produces a lot of fall-out in the pan (but not on my face while applying it). Nevertheless, the color combination is really pretty, and using a primer will probably bring out the colors better. Without primer, when used on the eye, the colors barely show up on my skintone. 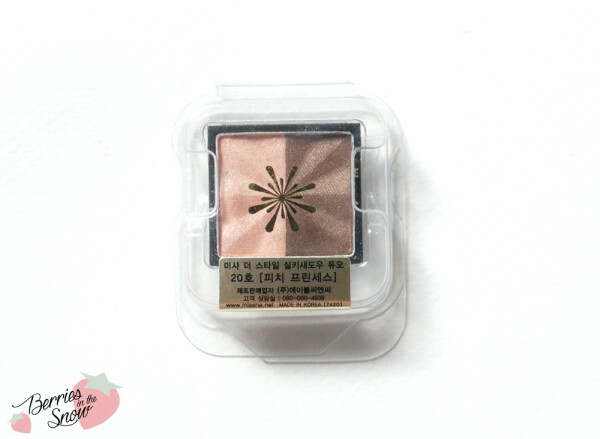 It gives your eyes deepness, and looks very subtle and natural, but if you are looking for something with bright,vivid colors and visible shine this eyeshadow is not the perfect choice. Missha The Style Silky Shadow Duo is a tiny, simple eyeshadow combination, with subtle pigmentation and natural looking outcome. It is not my first choice eyeshadow though. 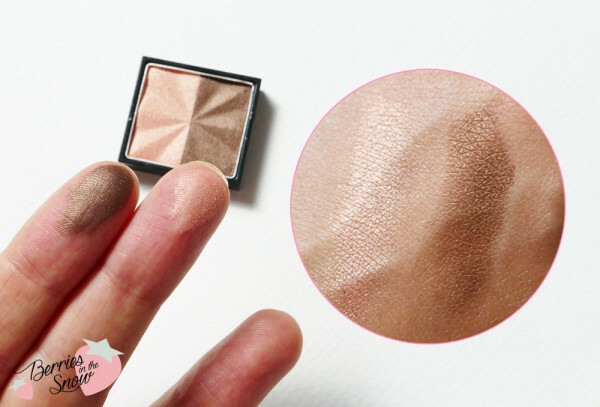 If you are a beginner I would suggest rather to buy a small palette with 4 colors for example, so you can create more variation, or try cream eyeshadows. Some of my favourites are the A’Pieu Creamy Butter Shadows or the Innisfree Shadow Pencils. If you are curious about the Missha The Style Silky Shadow Duo you can check out Q-depot, an online retailer for Korean beauty products. They have a already quite a variety of the most popular Korean brands and they keep adding products frequently. The site is easy to navigate, too. And they offer free samples for each order and free shipping for orders above US$69. What I like especially, that they have an extra section for cruelty-free products, which contains brands like Iope, Innisfree, Etude House, etc. I didn’t see that before for most of the online stores, so that’s something really innovative and nice. Also, they are committed to contributing 3% of their group’s net profit for social causes in different countries. 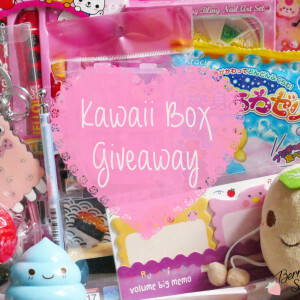 So you can shop for your favorite Korean products and do something good, too. Missha The Style Silky Shadow Duo retails for 5.60 US$ each- an affordable price, but consider it only contains 1.8 g of product. Q-depot is having a promotion were you can get 5 US$ coupon upon signing up. The coupon is useable for a minimum purchase of 69 US$. Just as a short reminder: All products mentioned and reviewed on this blog are of my personal opinions. This product here was sent to me for reviewing purpose by http://q-depot.com/ which doesn’t influence me in providing my honest opinion on the products. They look quite sheer on the lid, but that’s a look that I like. Die beiden Farben sehen schön aus, für ein sehr dezentes Make up machen die sich bestimmt sehr gut. The color is so beautiful too! Too bad it doesn’t show up much on the eyelid.